“Spirit of Race is a partner of AF Corse and we wanted to set up this entity for the TUDOR United SportsCar Championship and the 24 Hours of Dubai,” Ferrari explained. It can be comparable to Pecom Racing, a LMP2 program that was run by AF Corse. As for other programs, nothing has been finalized yet but Ferrari expects continuity in 2014. With Pecom having stopped its activities in LMP2 on the world’s stage, AF Corse will provide technical support to the two new Oreca 03 Nissans for the Russian SMP Racing outfit. Ferrari did not confirm drivers, but it would be logical to see Nicolas Minassian at the wheel. 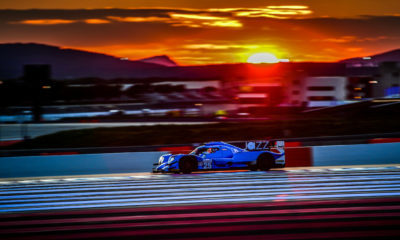 The European Le Mans Series will also be on the menu for the Italian team, but with the number of cars to be determined. It’s likely to see one or two Ferrari 458 Italias in GTE and some additional cars in GTC. AF Corse could also expand its presence in the ELMS by reducing its commitment to International GT Open. Additionally, there are no plans to return to the Asian Le Mans Series, although that could change.